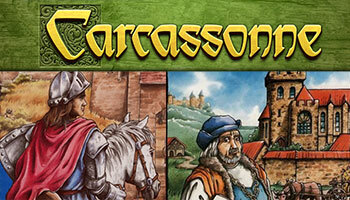 Carcassonne is a tile-laying game that is suitable for 2 till 5 players. With its simple rules, depth of strategy, and large number of available expansions, it's considered by many to be a perfect "gateway" to strategic boardgames. The game comes with over 70 land tiles that are high quality and surprisingly detailed. The starting tile has a different color on the backside, making it easy to find. All tiles have a combination of city, road, field and monastery segments printed on them. The game play of Carcassonne is very simple. The game starts with a starting tile. The rest of the tiles are mixed and placed face-down on the table. All subsequent tiles are built off that single tile. You can place new tiles in any direction as long as they match the connecting tiles (roads must connect, city walls must connect, etc...). Don't worry, there's almost always a legal placement for a tile. The game board will be built out organically as the game progresses into a beautiful, evolving arrangement of tiles that form an intricate landscape of controlled territories. City walls start to enclose a city area, cloisters appear in the countryside and roads meander across the land, connecting some of the other features. After you placed a title, you determine whether or not you want to put one of your 7 followers (meeples) on that tile. You can't place a follower within a terrain that already contains a follower. So, if you placed a tile with a city segment next to an existing city with already a follower, then you can't put a follower on your tile. Once a follower has been placed, it stays there until the feature it has claimed is finished. Before a city, cloister, or road can be scored, it must first be determined who owns it, because there can be multiple followers in a single completed location. The player with the most followers in the terrains scores all the points. The endgame is very important. You need to make judgments based on what the board looks like and how many tiles are still available to be turned over by you. Someone else may not make a play that benefits you. (i.e. Don't place a new meeple in a city if you can't expand the city further). When all tiles are exhausted, the game ends. The player with the most points at the end of the game is the winner. 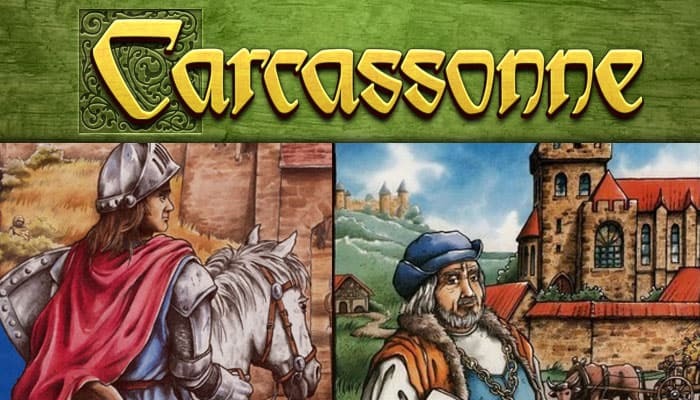 To win in Carcassonne you need a mix of luck, timing and strategy. Always keep a follower on hand and place your tiles at the best places. Look for the best scoring possibility and don't concentrate on one feature at a time since tiles come out randomly. Spread your interests and keep several different half-finished features on the go. 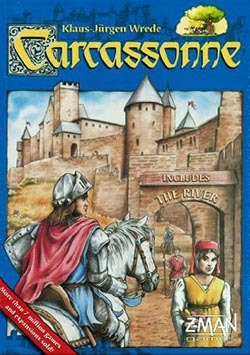 The game of Carcassonne is based on an actual southern French city which is famous for its heavily fortified walls and other features of the countryside. 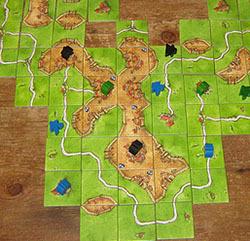 Carcassonne came out in 2000 and won the prestigious Spiel des Jahres (Game of the Year) in 2001. Due to the immense popularity of the game during the first 5 years of release, the game has seen over many expansions come to the market. The game has endless replay value and the expansions will offer new elements. 70 Land tiles showing roads, cities, fields and monasteries. There is one start tile with a darker back. The 12 river tiles are not part of the basic game but have the same back as the start tile. 40 followers in 5 colors.Each player will use one of their followers as a score marker. One rulebook and 1 player aid.